Along with changing the air filter in the HVAC indoor cabinet, we advise you take some time to look over the outside cabinet of the air conditioning system. This cabinet contains the compressor, a fan, and the condenser coil that releases heat to the outside. The cabinet needs clearance on all sides so it can vent out heat using the fan. See if any branches, leaves, grass clippings, or debris have gotten in the way. Are there any plants that have started to grow too near to it? Trim them back. You want about a foot of space clear all around the cabinet so it will work at maximum efficiency. If the cabinet is covered with dust and dirt (or worst of all, mulch), wash it off. Use a hose on low pressure—don’t blast the hose into the grills, since this might cause damage to the fins of the condenser coils. If you notice a rattling coming from the cabinet while the AC is running, the cabinet may be loose. Check the fasteners to see if they are loose and tighten them. If this doesn’t stop the sound, something else may be wrong inside the cabinet and you’ll need to call for repair assistance. If the sound you hear from the cabinet is a clicking or clanging noise, the issue may be with the fan blades. Visually inspect them to see if any of the blades are bent. Call a technician if they are. Search around the wire connections from the cabinet for signs of scorch marks. If you do see burn marks, turn off the power to the cabinet through the breaker box and call right away from assistance. Don’t run the AC until a technician has found the problem and fixed it. In Florida, there’s no season for air conditioning repair! Your AC is never going to have a long vacation, so as soon as you detect anything wrong with it, such as the signs listed above, call our HVAC experts. We offer 24-hour service 365 days a year! Reach out to us for fast AC repair service. 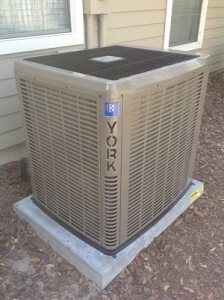 Touchstone Heating & Air Inc, Serving the Communities of North Central Florida since 1998.